Kurdish journalist Goran Dukani. Photo via Facebook. Goran Dukani is a Kurdish journalist living in exile in the United States, where he works at the Kurdish-American Center for Free Expression (KACFE) with a number of other independent writers and journalists. He is also a two-time recipient of support from CJFE’s Journalists in Distress program. Dukani’s case has been documented by a number of international human rights organizations, including the United Nations Assistance Mission for Iraq, Amnesty International, Human Rights Watch, Reporters Without Borders, Committee to Protect Journalists, International Press Institute, International Federation of Journalists, Doha Center for Media Freedom, and Front Line Defenders. Dukani was the recipient of a 2012 Hellman-Hammett grant as well as a grant from PEN American Center, both in recognition of his work as a journalist under persecution. In the case of Kawa Garmyani [a Kurdish anti-corruption journalist who was assassinated on December 5, 2013] the PUK was implicated in the murder, since Garmyani was assassinated in an area that is chiefly governed by them. Mahmud Sangawi, a military commander in the PUK, is the main suspect accused of Garmyani’s murder. Kawa Garmyani filed a suit case against the military leader Mahmud Sangawi, at the court who did threat him before and submit an audio recorded evidence (in Kurdish), also he filed two more cases against other leaders but none of those leaders got questioned by the court. On top of this, the judge who issued the arrest warrant for Sangawi also received death threats. Following the first hearing, Sangawi was released for “lack of evidence” despite there being plenty of evidence of his involvement. A lower member of the PUK is now serving as a scapegoat and pleading guilty to Garmyani’s murder. 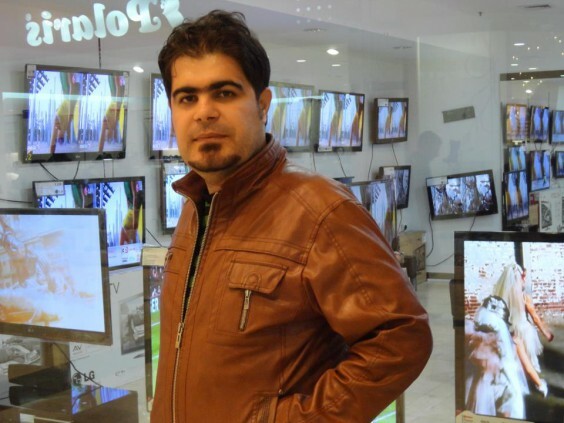 The case of Kawa Garmyani is exemplary of the issues that Kurdish journalists face. I would like to point out something important here: since Garmyani’s assassination occurred in the area that is mostly ruled by the PUK security forces, many journalists and writers in Kurdistan believe that Masud Barzani [leader of the KDP] was trying to politicize the case of Kawa Garmyani for his own gain in the campaign for the most recent election held on April, 01, 2014. In the run-up to the election Masud Barzani was meeting with the family of Kawa Garmyani which made many people wonder why he was only meeting with that family and not with the families of three other journalists who were murdered with impunity in his own backyard. What can you tell us about the momentum for free expression under Kurdistan’s Regional Government (KRG)? In Kurdistan it’s almost impossible to make a distinction between the two political parties [PUK and KDP] and the KRG, the same as is true for most of the Middle Eastern countries. So for that reason it’s just impossible for the KRG to be neutral and independent with regards to the momentum for free expression in Kurdistan. Free expression in Kurdistan will hopefully be improved step by step as a result of negative reports published by international NGOs, but if Kurdistan’s authority does not fear condemnation from the international community I think that free expression will only get worse. In general there is free expression but it is so limited, especially when you talk about high ranking officials. This article was originally published by IFEX on June 17, 2014.